It was just okay kind of hotel. Breakfast was good, staff were good. It's a too old property. Rooms were not up to the expectations. In fact beds and bathrooms all very old. It's just okay kind of hotel. Staff was very friendly. Location excellent and restaurant very nice. Good and fast service. Front desk operation is good. Calm atmosphere. Staffs are good. Location is not good for me. Its almost average stay. Ashraya International Hotel This rating is a reflection of how the property compares to the industry standard when it comes to price, facilities and services available. It's based on a self-evaluation by the property. Use this rating to help choose your stay! 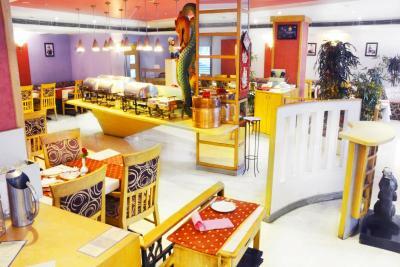 One of our top picks in Bangalore.Featuring a shared lounge and bar, Ashraya International Hotel is located in Bangalore, 1,000 feet from Indira Gandhi Musical Fountain Park and 1.2 mi from Mallya hospital. 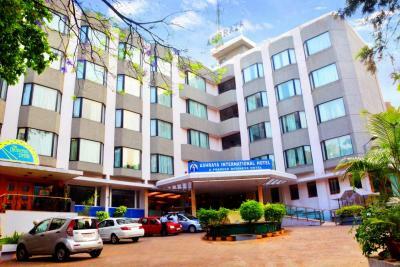 The property is set a 10-minute walk from Chinnaswamy Stadium and 0.6 mi from Cubbon Park. 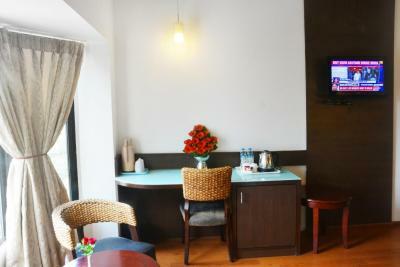 The accommodations features a 24-hour front desk and free WiFi is available. At the hotel, every room comes with a desk. Complete with a private bathroom equipped with free toiletries, guest rooms at Ashraya Internation Hotel have a flat-screen TV and air conditioning, and some rooms also feature a seating area. The rooms will provide guests with a wardrobe and a kettle. Continental and buffet breakfast options are available every morning at the accommodations. 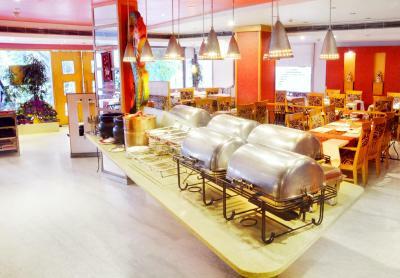 Various dining options including international, Indian and Chinese cuisine are available at the on-site restaurant. It is 350 feet from Sparsha Hospital, 1,650 feet from Vikram Cardiac Hospital, Fortis Hospital, Al Ameen Hospital and 1,950 feet from Mahaveer Bhagavan Jain Hospital. 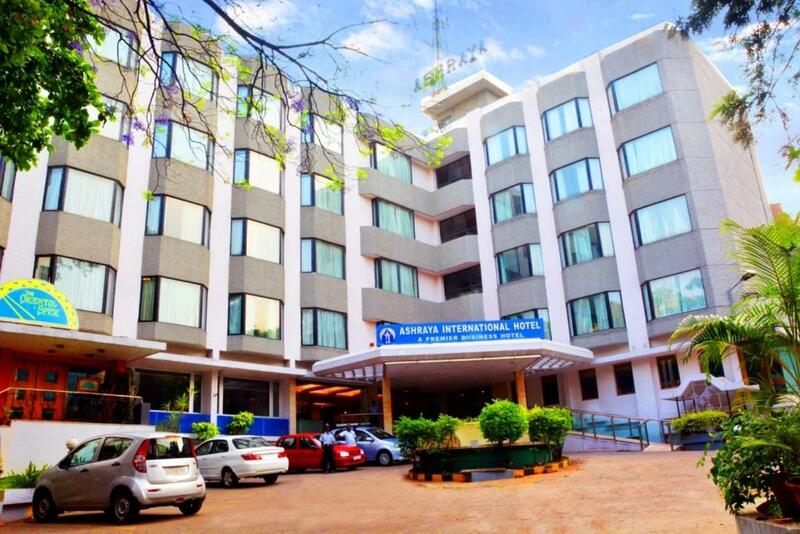 Popular points of interest near Ashraya International Hotel include Visvesvaraya Industrial and Technological Museum, Kanteerava Indoor Stadium and Commercial Street. Kempegowda International Airport is 17 mi from the property. When would you like to stay at Ashraya International Hotel? This double room has a mini-bar, tile/marble floor and seating area. House Rules Ashraya International Hotel takes special requests – add in the next step! All children under 6 years are charged INR 700 per night for extra beds. 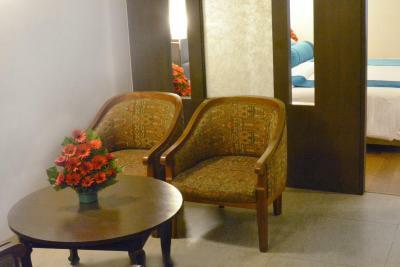 Any additional older children or adults are charged INR 700 per night for extra beds. Ashraya International Hotel accepts these cards and reserves the right to temporarily hold an amount prior to arrival. Television Channels. Lack of oral care utilities. At reception while checking in, I had some query -(a) I inquired about incorrect entries of 3 pax as appeared in the booking document- wanted to know when I have booked for one pax, how come it is showing 3 plus one child. Just wanted confirm whether 3 Pax included in the room tariff, (b) query on complementary breakfast. I had no intention of arguing or demanding for "complementary" breakfast. Only my question was it should have been included, will not mind to pay for breakfast. The staff replied that it is my mistake while booking accommodation. I accepted my fault. However, instead of replying swiftly, suggested to cancel reservation. I would have liked that but it was already late 6 pm, came at the facility after heavy and hectic day's work and obviously not possible finding another facility at that point o time. Staff at reception received a call when I began inquiry the reception staff had asked me to wait, the staff was attending a call for quite long time, kept me waiting with my fingers crossed. The conversation during call was goody goody and find no serious issue was discussed. There was no regret for long wait till completion of the call. The staff called me in the evening and offered complementary breakfast next day which I did refused. Wish management orient, motivate and imbibe the change in staff behavior and to be sensitive and swift in communication with customers. Staff should know real meaning of "First impression is the last impression" and "Athithi Devo Bhav" Another suggestion, the problem of no complementary breakfast or number of occupants etc needs to be addressed by allowing feeding data properly while booking on line. The manager is a very rude person who behaves as if the hotel does not need customers. He is a liability to the hotel. The hotel is also found on a busy one way street and many taxis refuse to go to the hotel. The staff handled our stuff when we weren't in the room. Even undergarments! This was inappropriate but I forgot to say this during check out. Bed was comfy, food was good. They need to change the bathroom fittings, wash bin was broken. Tap knobs were coming out. Failedto send car to meet me at airport. Night manager rather grumpy! This is a hotel for Indian business men, not a tourist, no maps of town. I was the only foreigner. Younger managers more helpful and porters. Better to be south of MG road. I was ina room thatneeded renovating and only on mylast nightdidthey offer a renovated superior room! Too late. Entrance and exit gates are too small. Very good location and food is excellent. the Room was very basic. Could not get hot water at 2 am as I was leaving for the airport.